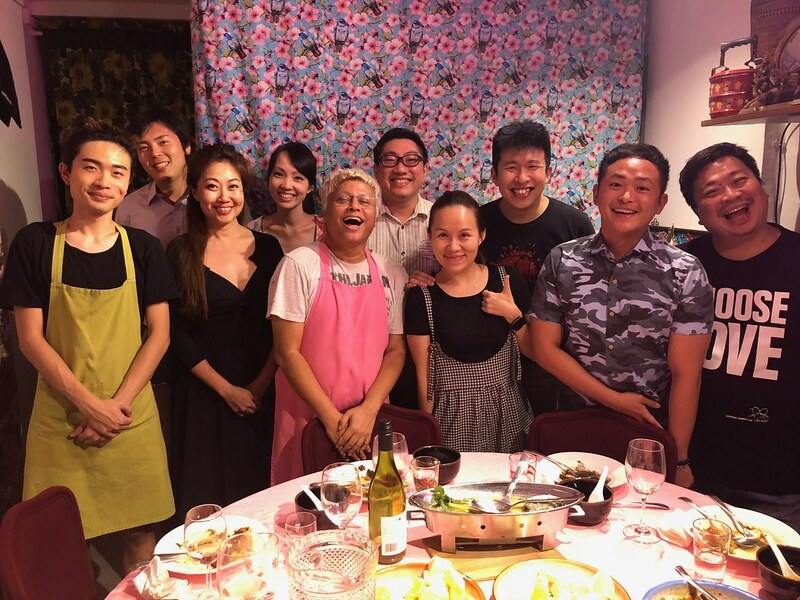 Having checked out several private dining venues, our latest food hunt brought us to Tinoq Private Dining at the old Tiong Bahru HDB estate. The private dining is hosted by Tinoq Russell Goh. Many would have known him as a celebrity make-up artist. His recent work includes dressing up Constance Lau for the movie premiere, Crazy Rich Asians both in Hollywood and Singapore. In fact, during our dinner he was sharing with us that he was busy running around in the day getting her stuffs for the movie premiere next day. We started with the Bakwang Kepiting, warming up the stomach for the feast. The meatballs are big and juicy. 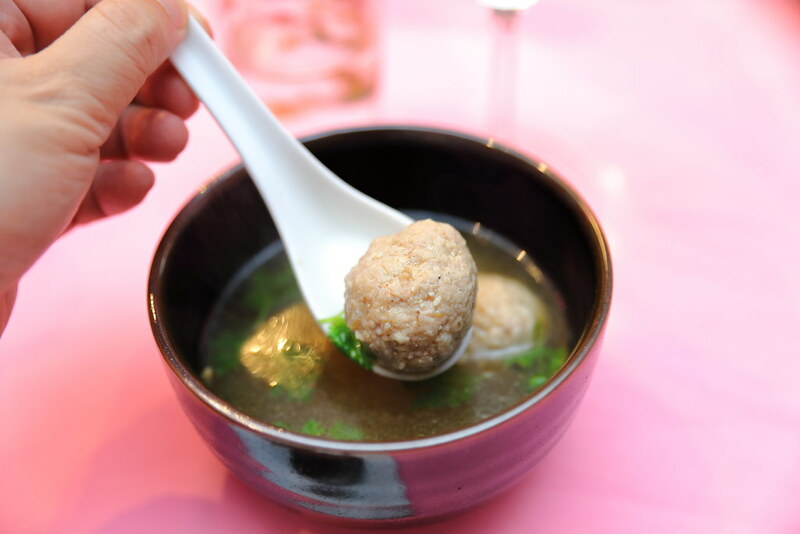 These lovely meatballs are complemented by the robust and flavourful soup made from flower crabs, pork bones and dried flat fish. This is damn shiok that we asked for second serving. 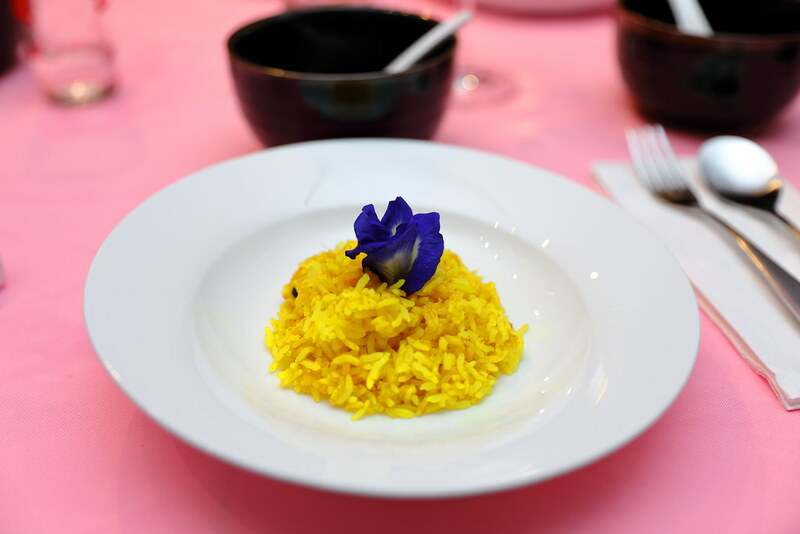 Before we arrive for our dinner, Tinoq did check with us whether we want Blue Pea Rice or Turmeric Rice for dinner. We decided to got for the latter and the turmeric was freshly plucked from Tinoq's garden for the rice. 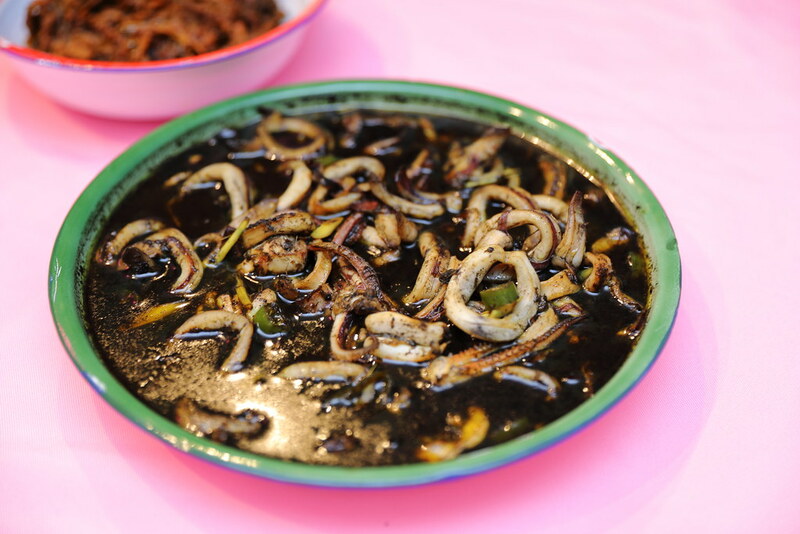 A dish I like since young is Sotong Hitam, I still remember how I like to drench my white rice with the squid ink gravy, covering the rice in a pool of black sauce. The version at Tinoq was good but I thought the gravy was slightly on the watery side. A little heat can also help to perk up the dish. Unfortunately I didn't quite enjoy the Rendang Minang Kerbau. I am not saying it is not a delicious dish but I prefer my chunky, melted in the mouth rendang. 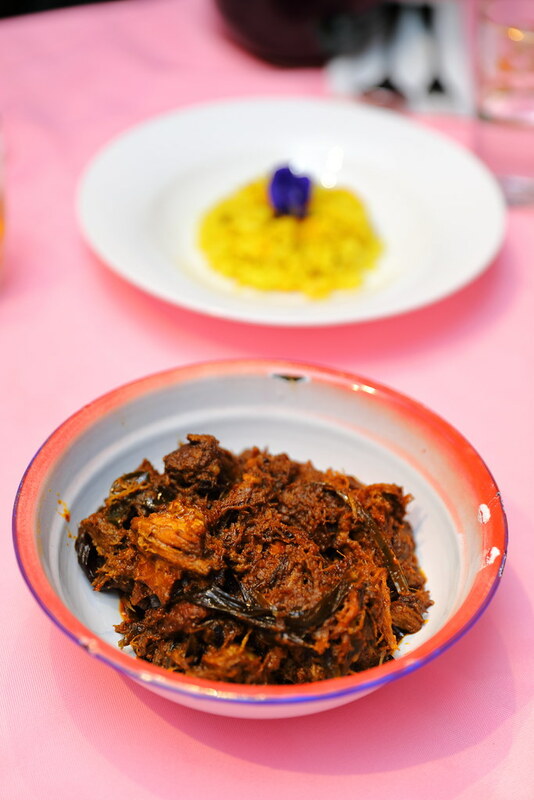 The version at Tinoq is more of pulled pork texture, with the aromatic rempah intensifying the flavour. 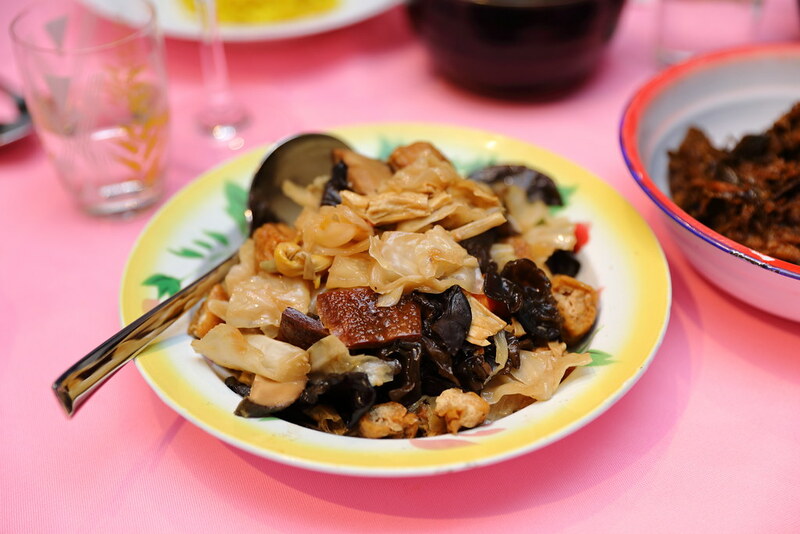 The Chap Chye was cooked to a nice crunch and not too soft, absorbing the essence of the fermented bean paste. Noteworthy is the effort to tie the dried lily bubs into a knot. Traditionally that is what my grandma will do. Probably my least favourite dish is the Sambal Telur. 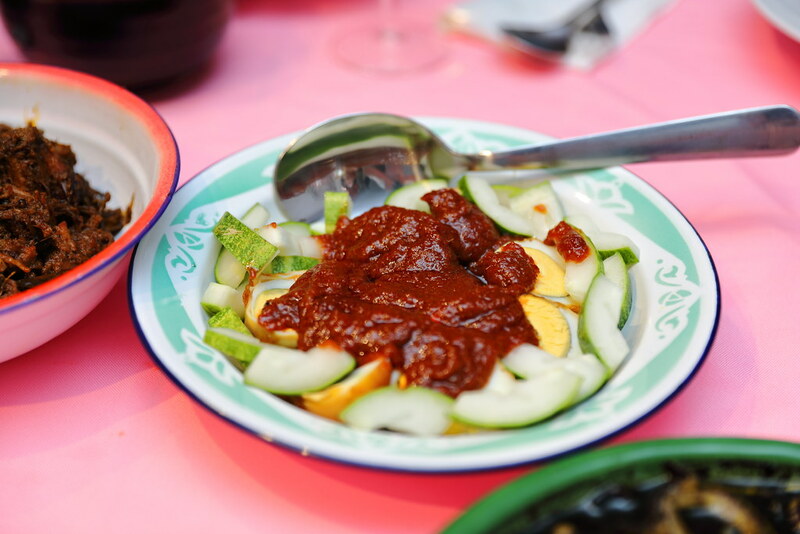 Lightly brown on the exterior, the eggs are sliced into half and top with homemade sambal, served together with some cucumbers. 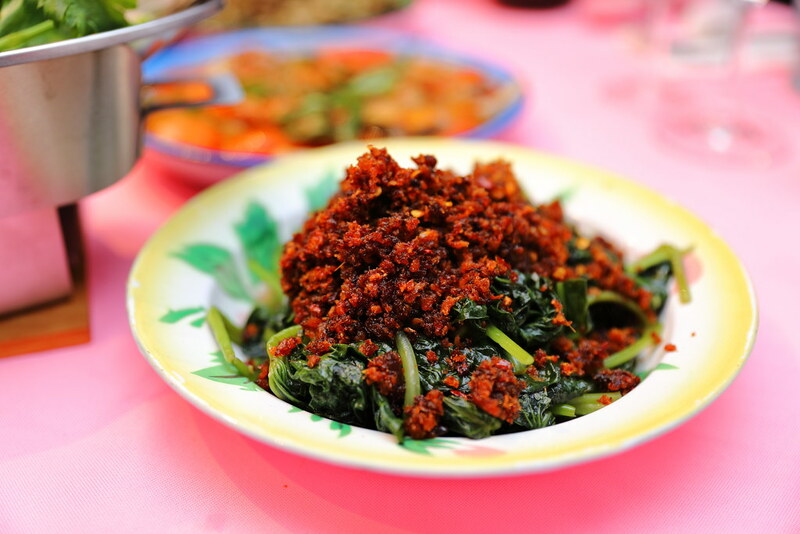 More commonly we like to cook our greens with sambal belachan but at Tinoq, the Sweet Potato Leaves is paired with Hai Bee Hiam. The combination is quite new to me but it works wonderfully. Totalyl enjoyed it. One of the crowd favourite goes to the Ayam Limau Perut. 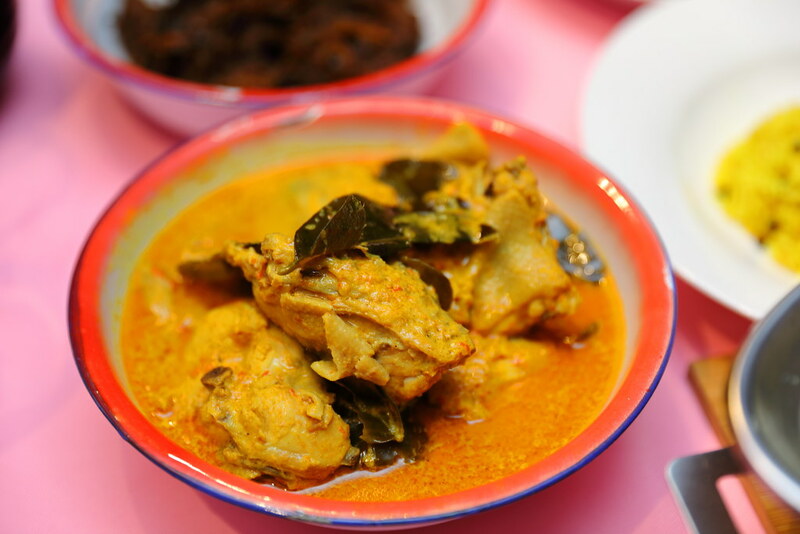 The chunky pieces of chicken are cooked to tender, immersed in a creamy piquancy gravy of tamarind, kaffir leaves and lime, flavouring the protein. How I wish there are some toasted bread for me to mop up the delicious gravy. The Char Siew was sweet and tender but I would prefer more of the caramelized char on the exterior. 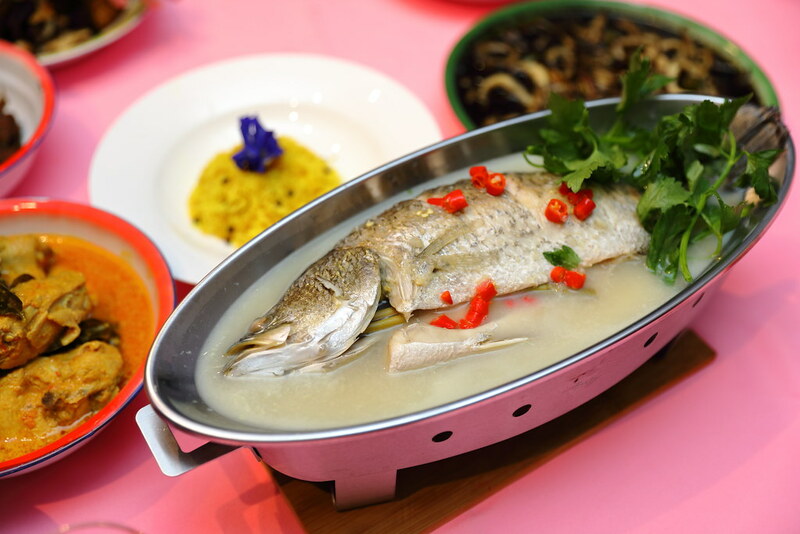 For fish lover, you will enjoy both the Ikan Assam Pedas and Steamed Thai Seabass. The Ikan Assam Pedas is very appetising with its sour spicy gravy. I even drenched my rice with the gravy. For the Steamed Thai Seabass, the cooking timing was so spot on. 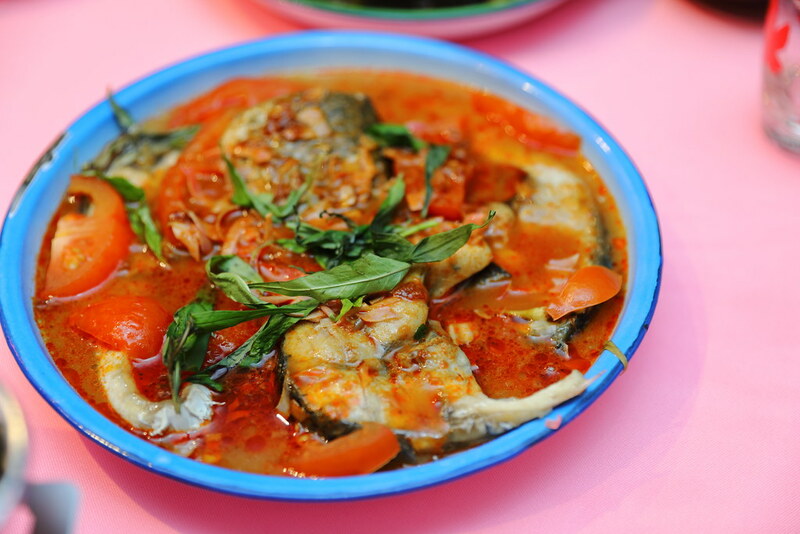 The fish was moist and paired so well with the sour and spicy gravy. 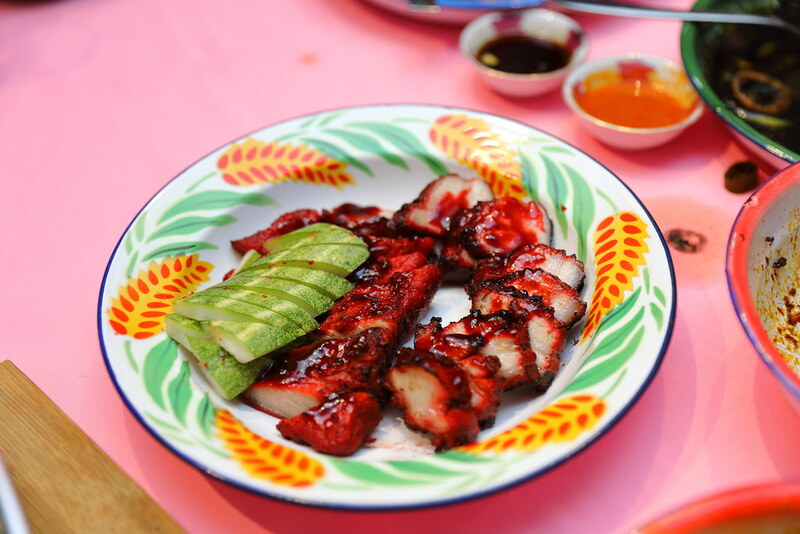 Another highlight at Tinoq is the homemade Ngoh Hiang. 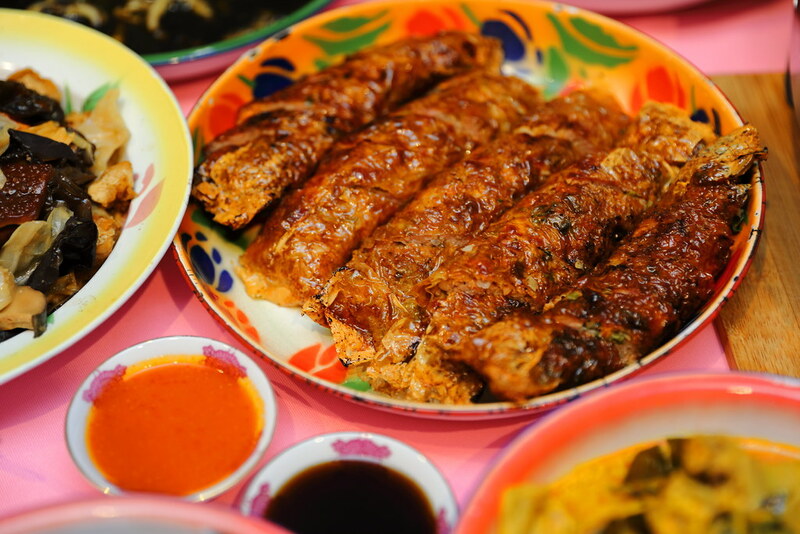 Deep fried to a delectable crispy exterior, the ngoh hiang is stuffed with minced pork, prawn chestnut and even sweet melon. This is one of the better ngoh hiang I have eaten for a long time. Overall we feel think Tinoq has been our best private dinner experience so far. In my own term, Tinoq has the overall package. The food is homely and delicious, in addition Tinoq and his partner Dylan are excellent hosts. The private dining is priced at $100 for 7-8 courses. 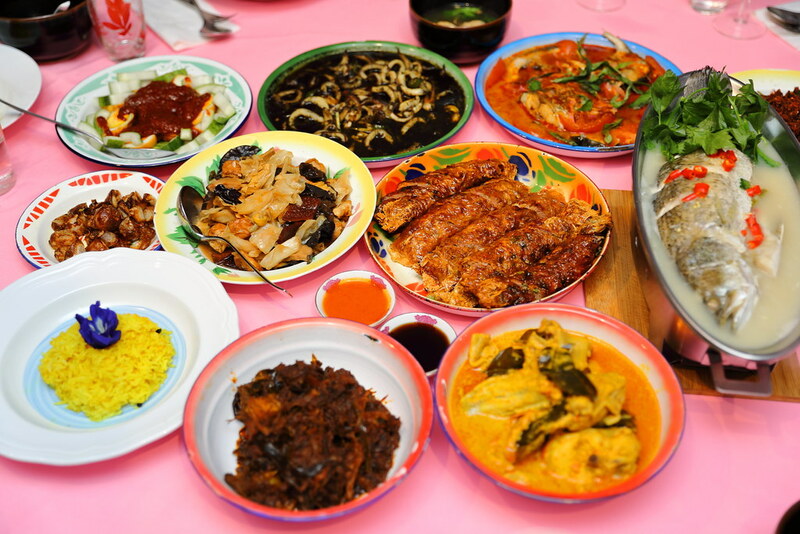 For our session, we had extra dishes.